Gen 1 Chevy Volt V Gen 2, Is Gen 2 Better? The second Generation Chevy Volt is here, but has Chevrolet built a better Volt? Better range, regular gasoline for the range extending generator and an new lower price. But is it a better Volt? Scott and Vance at KühlToys, take a look at both of the Chevy Volts and try to decide if they are KühlToys. Keep in mind that to be a KühlToy is has to be something so cool your friends start buying them or you have to hide it in a warehouse so your friends and family don’t shame you into selling it. What wife has ever said, “Honey go buy a GT3, in fact get the Cup version”. None. Come home in a GT3 and I’ll bet you get sent right back to Tiffany’s or Luis Vuitton or maybe even Maseratti for the “You got yours now I want mine gift”. And Remember “Cool Prius” was never said by anyone. We let one guy slide who was auto crossing his in Kaua’i, but you’ll never see us put a KühlToys approved stamp on a Prius. Clearly no wife will say no to a Volt, it is practical, not so fast you have that fish taco eating after surfing grin on your face, so it must be so cool your neighbors start buying them. When Scott came home with the first Volt, three were added to the surf tribe within a year. We think that qualified it for being a KühlToy at the time. Will the same happen for Volt Generation 2? 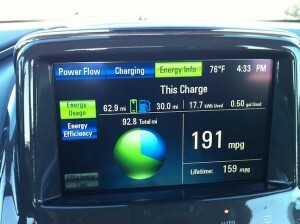 The new Volt has a long list of improvements, but does that make it a better Volt? Does all that new stuff make the new Volt a KühlToy? Which is Better, The Old Volt or New Volt, are they KühlToys? from Kühl Toys on Vimeo.